Classifieds site building made easy. Have you ever wanted to build your own classifieds site to fill gap in your community and/or earn some income but don’t know how to start and build such site? 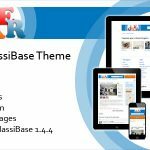 If yes, then ClassiBase classifieds script is made for you. What features of Classibase do you like? Tell us! Ad posting can be done without registration then users will be registered after email address verification. Featured ads can be displayed in top of related category, sidebar or homepage with use of widgets. Site URLs made simple and readable. Urls for category and location can be customized to fit your requirement. Every user can view their listings, edit them, promote, extend if expired. As part of transparency policy Payment History allows users to keep track of all payments made through your site acting as convenience for users and protection for you against groundless claims. The software offers simple search form for general search by category and search refinement with custom fields for category specific searches. 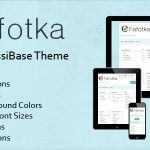 ClassiBase themes are designed to print any page stripping out unnecessary information. Leaves page with the most important listings details: a main picture and all information about a listing including contact details. Provides availability of your site on mobile devices making browsing web contents for your mobile users easier and faster. Mobile version is built into theme and will scale depending on viewing width of mobile device. Categories, locations, custom fields, pages and user interface can be multilingual. Ads will be in language that users post them. It is useful if users in some countries speak in several countries like countries from CIS. Our Software has no limits for categories/subcategories and you can add as many as you wish. Category widget can be displayed on front page and sidebars listed with dynamic or fixed level of depth. ClassiBase features an advanced category manager that gives you the ability to add/edit/remove categories/subcategories, build unique and seo-friendly urls, downgrade categories to subcategories, lock categories. A set of basic configurations offers flexibility for adding unrelated types of listings like jobs, properties, transport etc, with each of a having independent custom fields. This feature is vitally important to those who want to make a classifieds portal with lots of different sections. Listing in each category can be configured to have selected custom fields to make it easy to view important information. For example in property listing you can view number of rooms in listing pages. If a user made a mistake by adding his listing to a wrong category/subcategory or you believe that a listing should be moved to another category you can easily do it with a few clicks in the admin panel. In case custom fields do not match with new category then related fields will be available upon saving that ad. Listings in the manager are arranged into a user-friendly grid with all functions ready to be used and displaying the most important information about listings in the grid. It also provides such important abilities as contact listing owners from the Listing Manager and filter listings by a number of criteria. Gives you the ability to manually manage newly added listings, in particular approve of new listings, auto approve listings of previously approved users, edit all listing details, auto detect ads with offensive content using spam filter and hold for moderation . Home page can have categories, latest ads, featured ads or any other available widget. Categories can have individual posting fee. 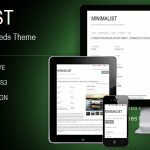 You can make all categories free to post, all paid to post or some categories paid to post. Price can be set per location and category bases and will apply to subcategories. Featured ad fee can be set for selected categories individually and will apply to subcategories. Featured ads will be listed at top of related category and can be set to display in prominent locations using widgets as well can be listed on front page. Learn how to increase featured ad sales. Payments processed via PayPal which accepts credit and debit cards as well. Naydizdes.com – Popular Classifieds ads website in Russian language offering free listings. Site has user interface in 4 languages and can be viewed as good example of multilingual classifieds website. All themes adapt to your mobile phone and offer best front end for desktops and phones. "Thank you. It works perfectly! That’s exactly what I wanted." "First of all, congrats, this is a great script., and can fit almost 100% in my needs." We constantly improve our script and keep it up to date with new technologies and devices. View Classibase change log for latest updates to the script.